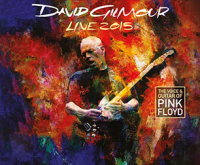 Pink Floyd guitarist David Gilmour is due to continue his string of solo concerts into 2016, playing not just Europe but North America. The concerts are to promote his most recent album, Rattle That Lock. The shows will have David playing songs from his new album, along with a selection of Floyd classics and maybe also some other surprises during the shows! The European shows are featuring a different band line-up to that seen in 2015, and the North American shows in 2016, with Jon Carin, Phil Manzanera and Kevin McAlea leaving the band. Coming in are Chuck Leavell, Greg Phillinganes, and Chester Kamen... should make for an interesting change in the overall sound of the show. This page is your ideal starting point for information, pictures, reviews and more for each of the shows below. Simply click on the show(s) that you want to know more about... as time goes on, each show page built to hopefully provide a comprehensive resource. Need to know where the venue is? Which ticket agents are selling tickets? How big is the venue? What time does the show start? All this and more can be found on the showpages. Our news page will also have regular updates on his activities so make sure you check there too. We really welcome anything you'd like to send in to us; if you have your ticket, we'd love a picture of it to include on the relevant showpage. We're also hoping that you'll send in your comments and/or reviews of the show(s) you've seen, along with any pictures of the show, or venue. We really appreciate you helping to share the experience with others, in particular, with those who won't be fortunate enough to see the shows for themselves. You can submit using our normal email address of matt@brain-damage.co.uk. Thanks! Please note that we will do our best to use whatever you send in, but please note that it might not be possible to include everything. We may have to edit reports, or reduce the size of some pictures where appropriate. As with any contribution from others, opinions and comments made by individuals in their reviews are not necessarily the same as those held by Brain Damage.